The River of Maille Bracelet is a wonderful bracelet that combines smooth and twisted jump rings. It has a great presence and feel on the wrist. The twisted jump rings add texture and sparkle to the bracelet. 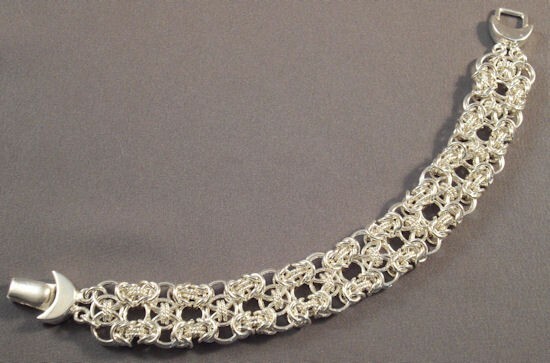 It is a piece that should not be your first project in chain maille. The clasp is not included. I consider this an advanced beginner project.